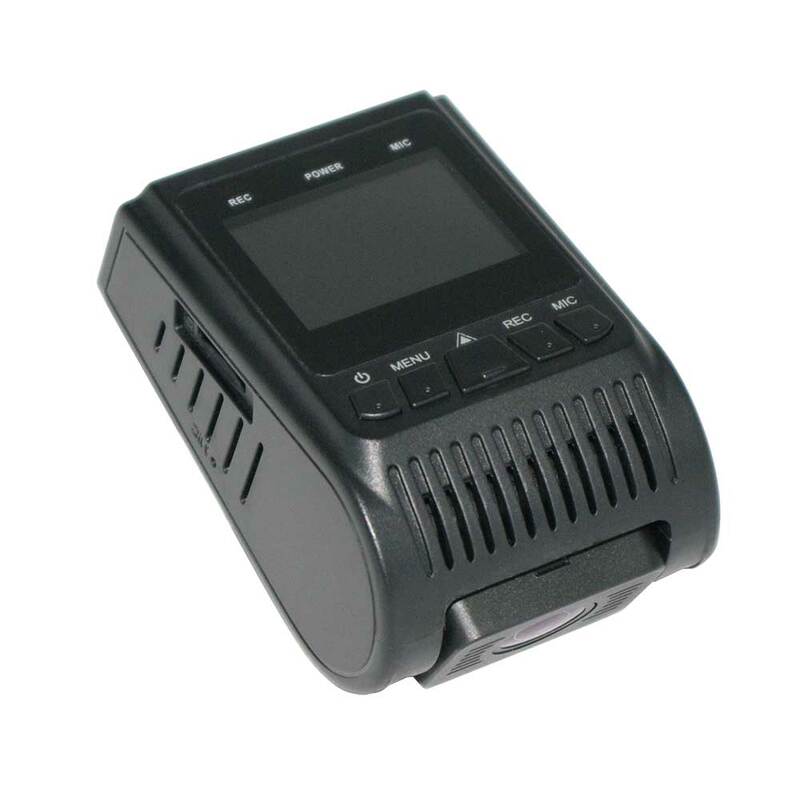 Buy your SGGCX2PRO today, and drive with confidence! 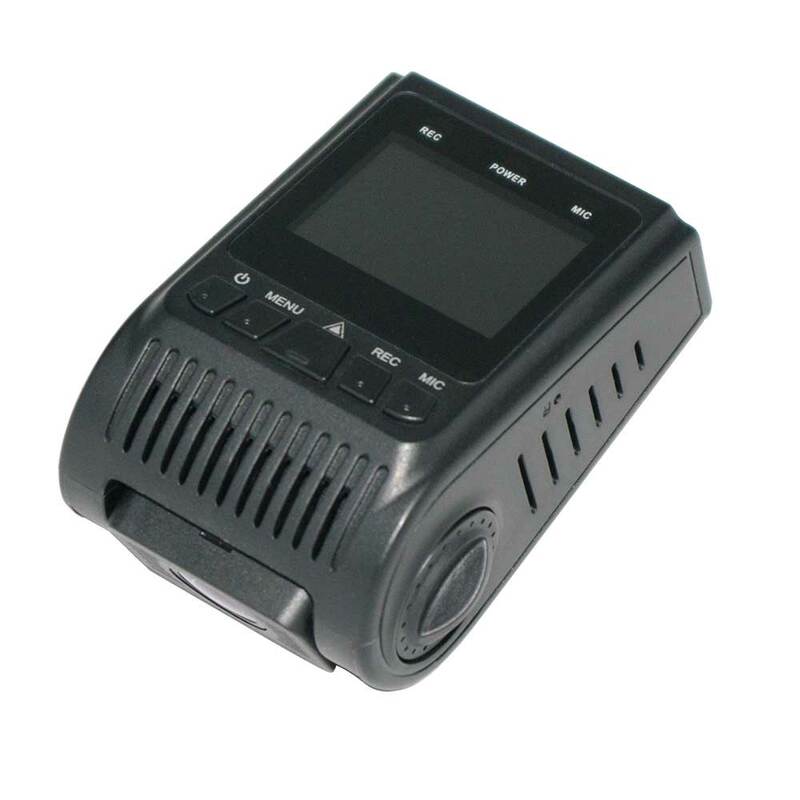 The SGGCX2PRO is a Set-it-and-Forget-it, FULL HD 1080P DashCam Video Security Car Digital Video Recorder. The 'Tiny Yet Mighty!' 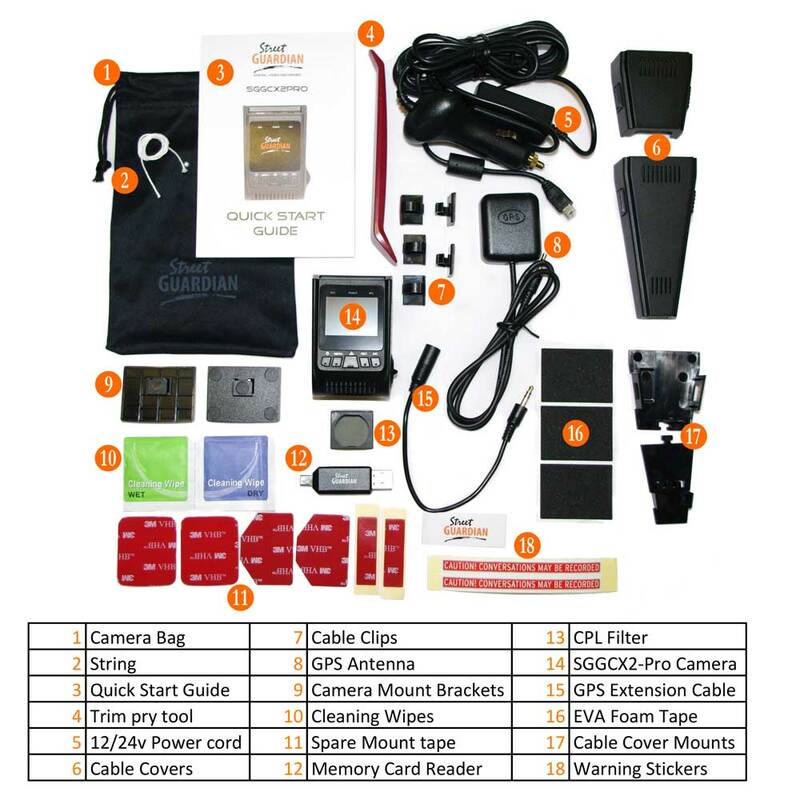 stealthy design is everything you need, ready to go in this Deluxe Kit. 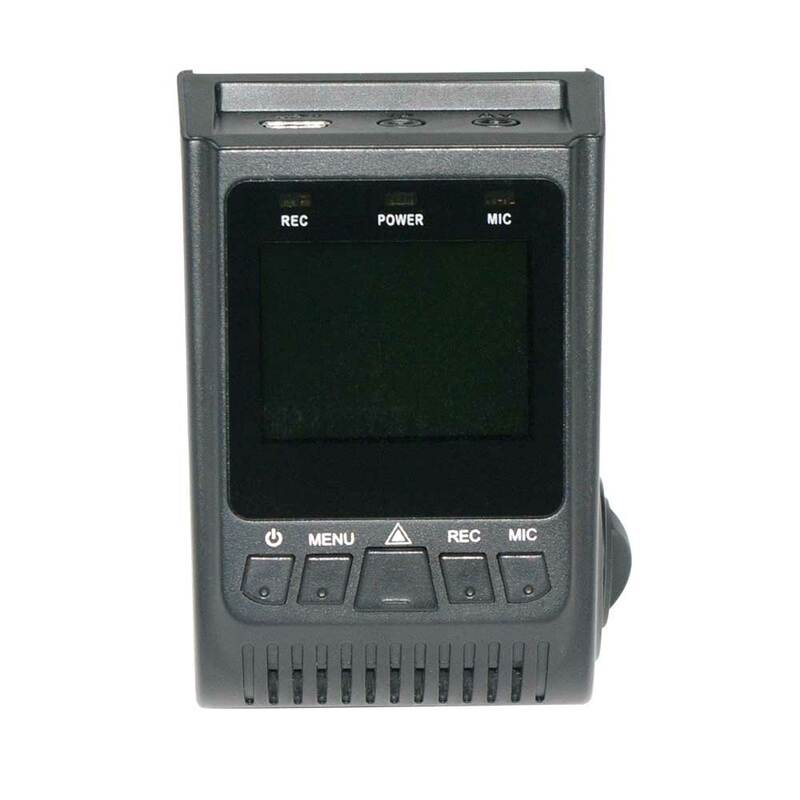 Sold as a single channel camera, with the option to purchase a secondary rear camera, for full dual channel recording. Full 1080P HD recording at up to 60 fps. Files are easily viewed in .mp4 format. Available in 32GB, 64GB, 128GB, 256GB, and 400GB. 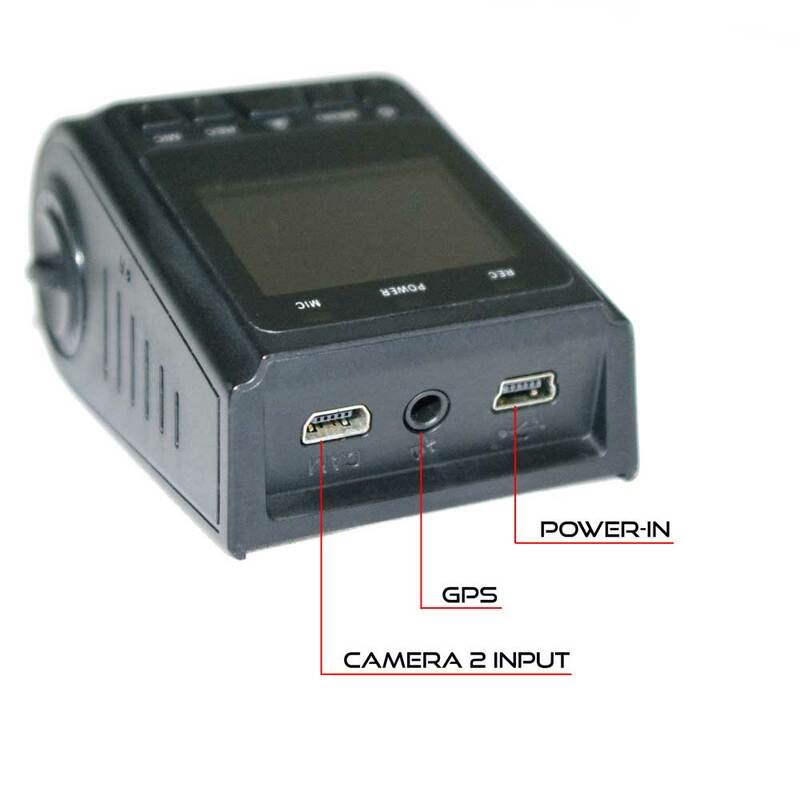 All footage is recorded with GPS data included. Speed and coordinates are logged to each video file. Set it and forget it. The camera automatically overwrites the oldest files once the memory card is full. 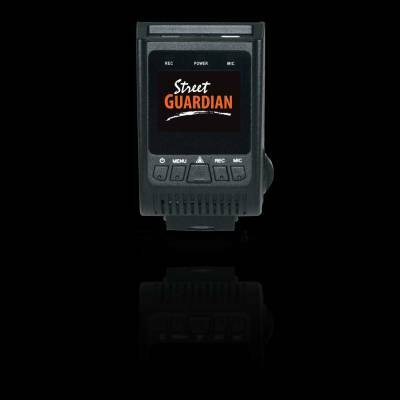 In the event of an impact, G-sensor automatically locks files and restricts overwriting. Files can also be manually protected with the push of the emergency button. Intuitive user interface, for easy setup and configuration. 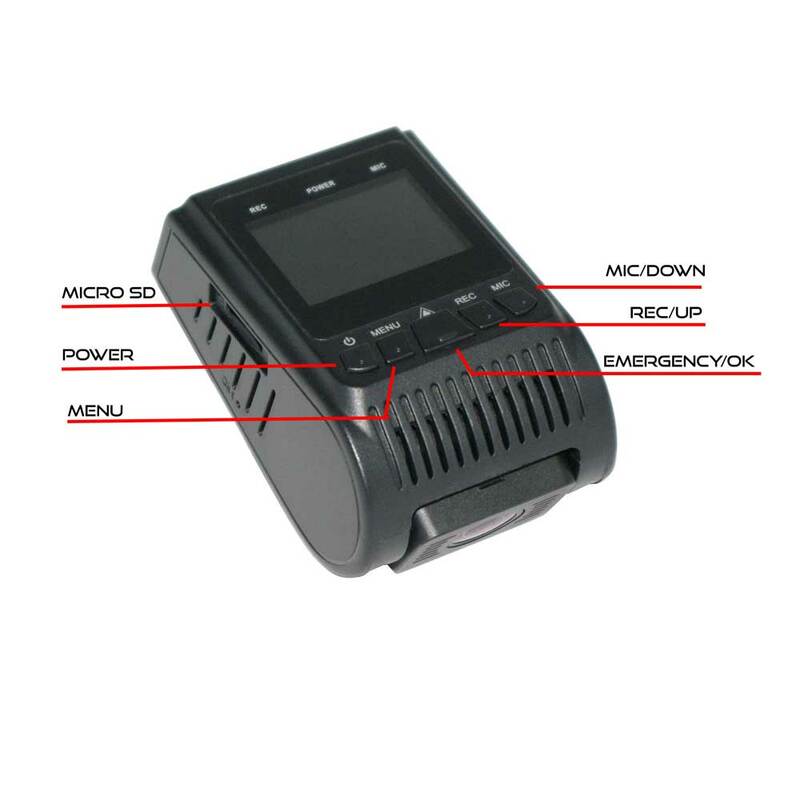 GPS data logging with time, location and speed. Files are protected with automatic file locking to avoid important data being overwritten. Novatek 96663 Processor, Sony EXMOR R CMOS Sensor, 7 element (6 glass + IR cut filter), f/2.0 Dual IR cut, Medium-Wide 127° lens. 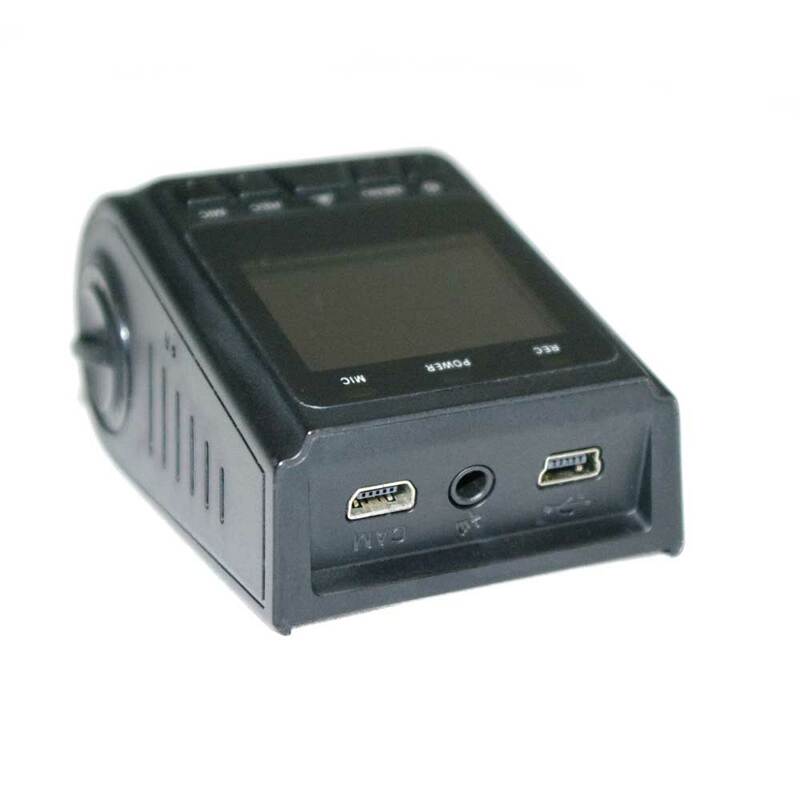 Full HD 1080P at up to 60fps @ 18Mbit/sec, H.264 Encoding MP4 format, GPS enabled. Street Guardian is all about High Quality. You can expect Over-The-Top Customer Service and Support as well. The Best of DashCamTalk is better than ever for 2018. 1.5-inch HD TFT screen. Ultra-Compact Glass Hugging Stealthy Install. Near Vertical Windows? 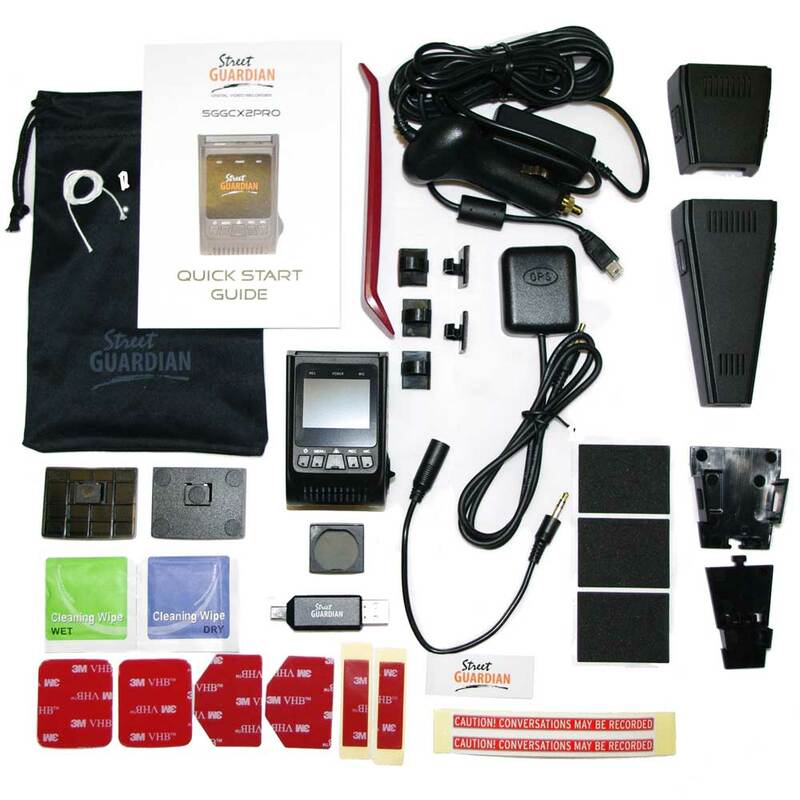 The Street Guardian SGGCX2-PRO contains a high quality SONY EXMOR R CMOS sensor with wide dynamic range, offering superior quality image capture even in low light situations. 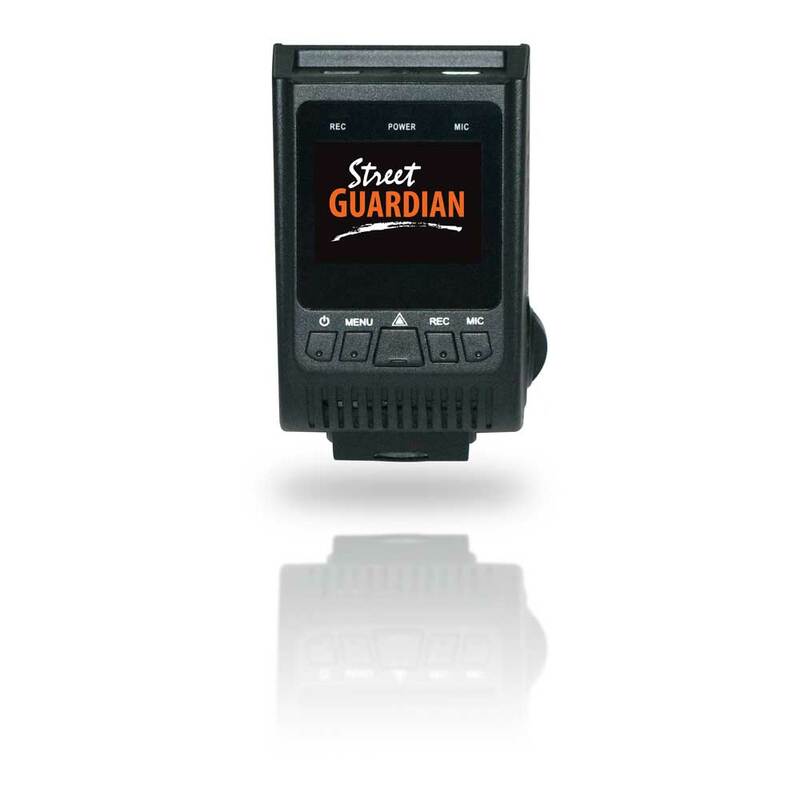 All Street Guardian SGGCX2-PRO Digital Video Recorders come with an attachable CPL (Circular Polarising Lens) filter to reduce the amount of glare captured by the camera, to provide clean and crisp footage.